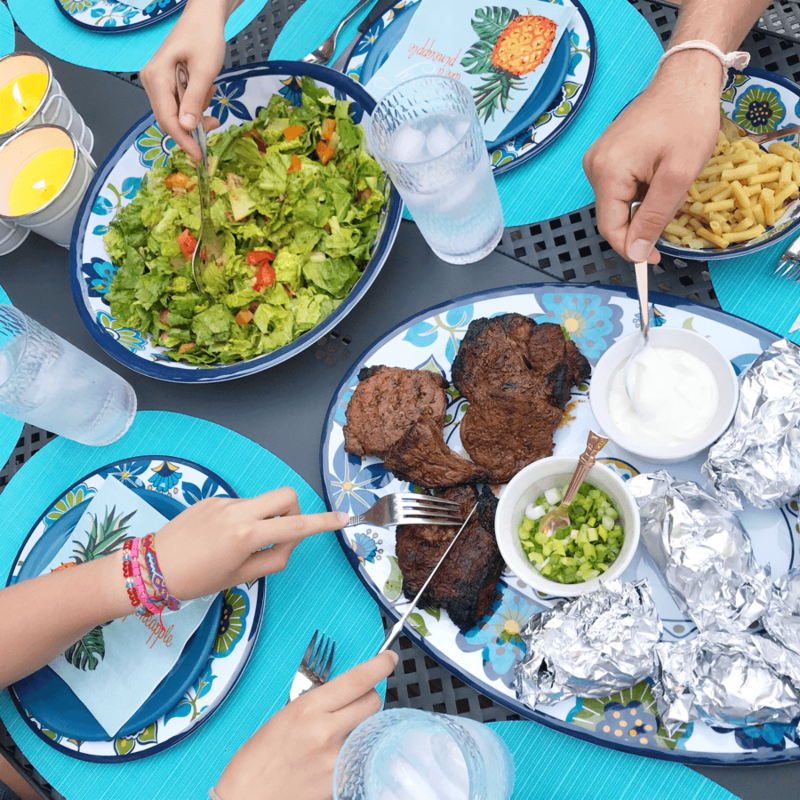 It’s amazing how a set of outdoor tableware can change how one feels about eating outdoors. I recently won a flat-lay contest sponsored by Collective Influence, a blogger/influencer association, of which I’m a member, and Kitchen Stuff Plus. The prize was this beautiful tableware set for eight that my family and friends loved using this past weekend. 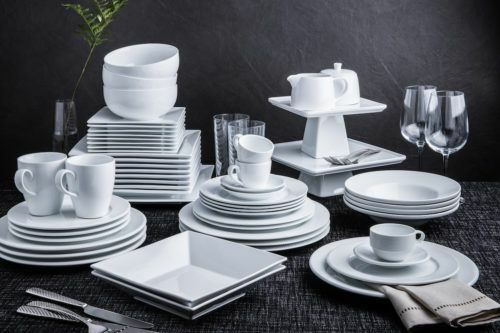 The tableware is called ‘Madrid’ and it’s part of the Kitchen Stuff Plus ‘Blue Sky’ collection. It’s made out of BPA-free melamine that won’t mark when you use a steak knife on it like we did this weekend! 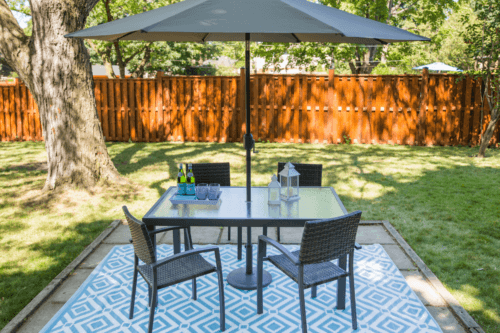 It’s light-weight, dishwasher safe, and the perfect size for a BBQ meal or just lounging around at home or in nature. The dinner dishes are the same size as indoor plates but the side dishes and bowls are slightly larger. 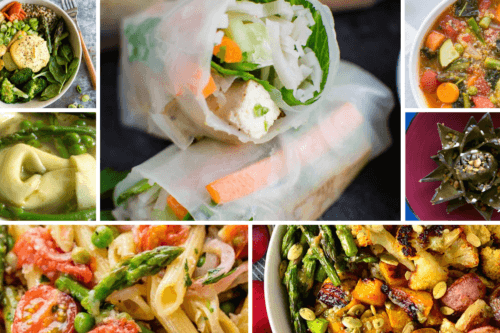 These larger side dishes and bowls can be used as extra dishes when you have more guests. 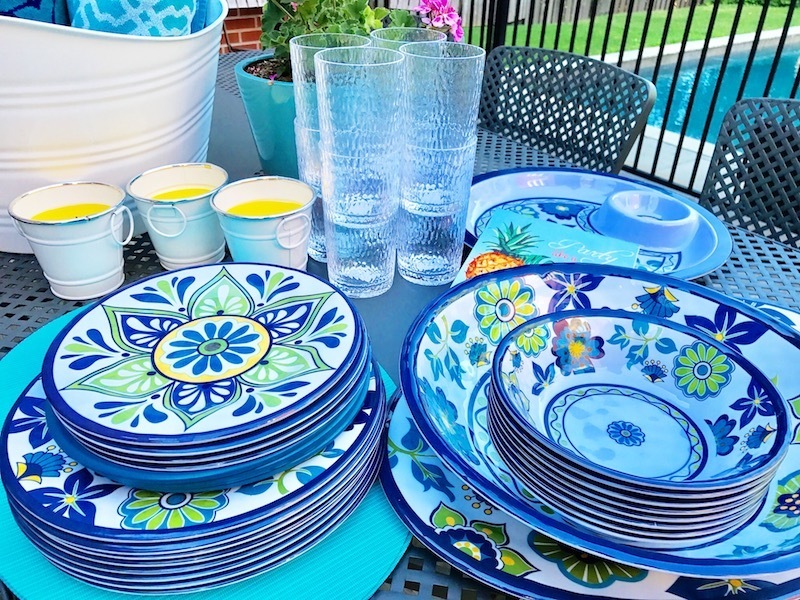 My husband, kids, and guests loved that these outdoor dishes were blue and colourful, and that the pattern wasn’t overwhelming. They were so excited to sit down for dinner! 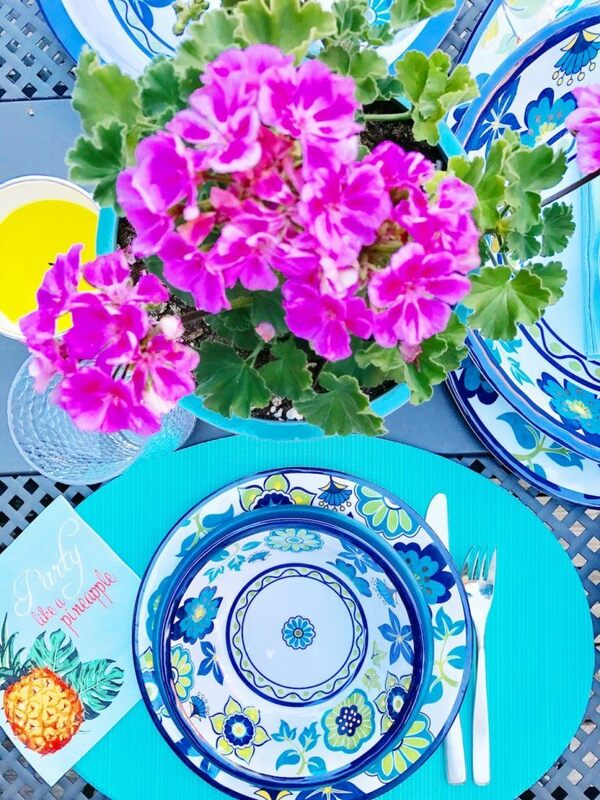 It was fun to eat off of these plates and be surrounded by the floral design and blue tones. 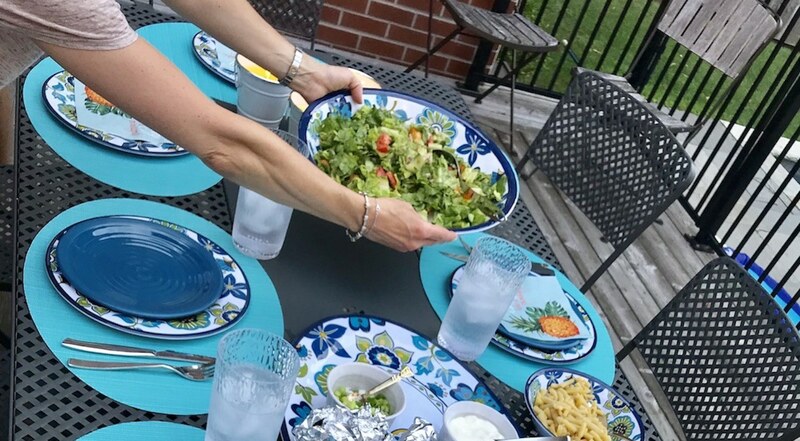 The turquoise placemats picked up similar colours in the plate design. And, the large glass tumblers were the perfect size for keeping hydrated in the summer. I also liked how a simple steak dinner with salad and potatoes looked like a fancier dinner on these plates. Preparing an easy dinner meant I spent a lot less time in the kitchen and could enjoy the nice tablescape. This is my first themed outdoor set of tableware dishes, and I just love them! Having the large bowl for serving a salad big enough for eight was perfect, and the serving platter fit the barbecued steak as well as the baked potatoes and toppings. This tableware set is also very easy to clean in that grease and oils didn’t stick to the melamine. For storage, I’ve placed them in the big white bucket that can be used for drinks or for towels during entertaining.